It’s easy! Grab a measure tape and let’s begin. 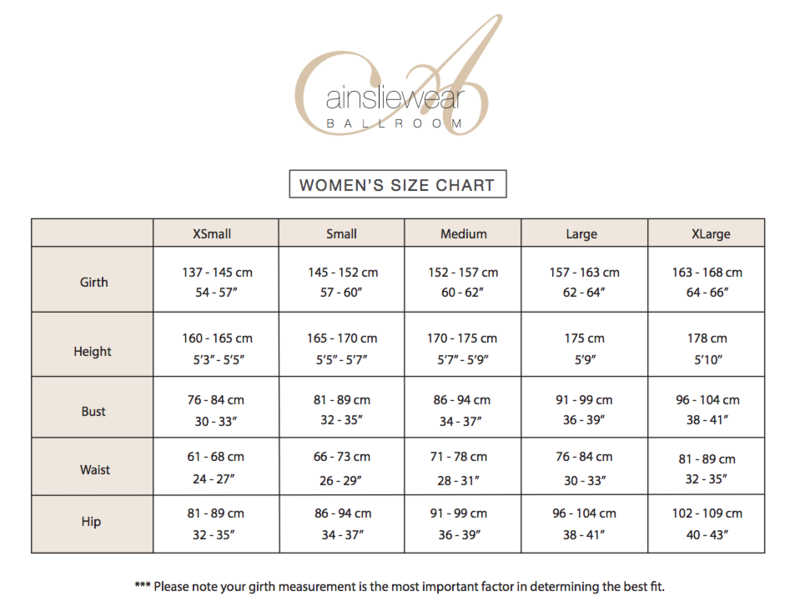 Girth – We think this is the most important measurement for choosing the best size of bodysuit. Start at one shoulder (centre shoulder), place the measure tape down the front of the body, between the legs, up the back to THE SAME SHOULDER POINT. This number is called your girth measurement. Bust – Place the measuring tape evenly around your bust at the widest part ensuring that the measuring tape stays even and does not drop at the back. Waist – You get it, pretty easy. Hips – Place the measuring tape at the widest part of your hips and ensure the measuring tape stays parallel to the floor and does not slip up the back. Inseam – Stand straight, in bare feet, with your weight evenly distributed on both legs. The inseam measurement goes from the crotch point to the floor. Please keep in mind that our size chart is simply a guide, and every body is wonderfully unique. If your measurements fall right in between two sizes, we suggest you chose the larger size. However, for the best fit, we suggest you go to a Stockist near you and try on an AinslieWear. For further clarification on your size, please do not hesitate to contact Amy Louise Dance on +61 7 5667 7557 or email sales@amylouisedance.com.